Enter Zion National Park from the town of Springdale. If possible park near the visitors centre just past the park gates. If that lot is full, park in the town of Springdale and get the free shuttle bus to the visitors centre. 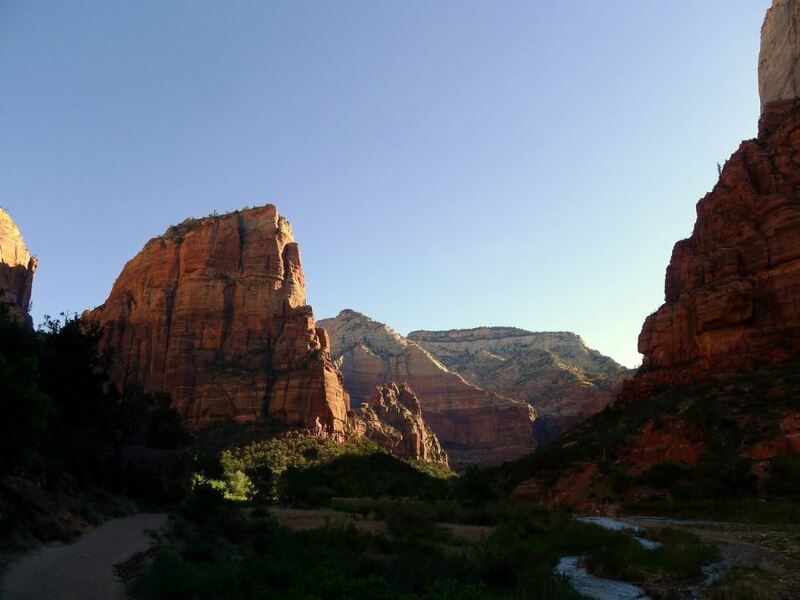 From the visitors centre take the other free shuttle bus into Zion Canyon. 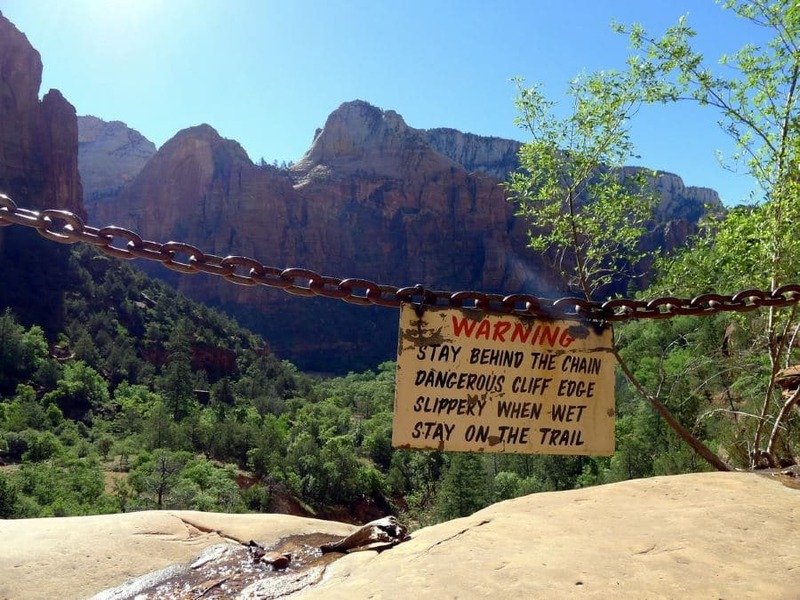 For most of the year the canyon is not open to public vehicles. Exit the bus at “The Grotto”. 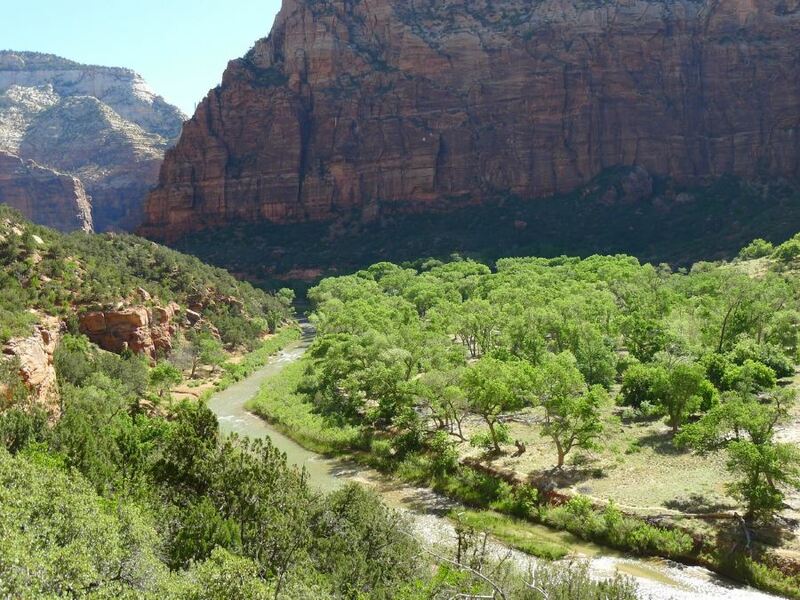 Find the trailhead by crossing the street and footbridge leading across the Virgin River. Here you will find a junction. 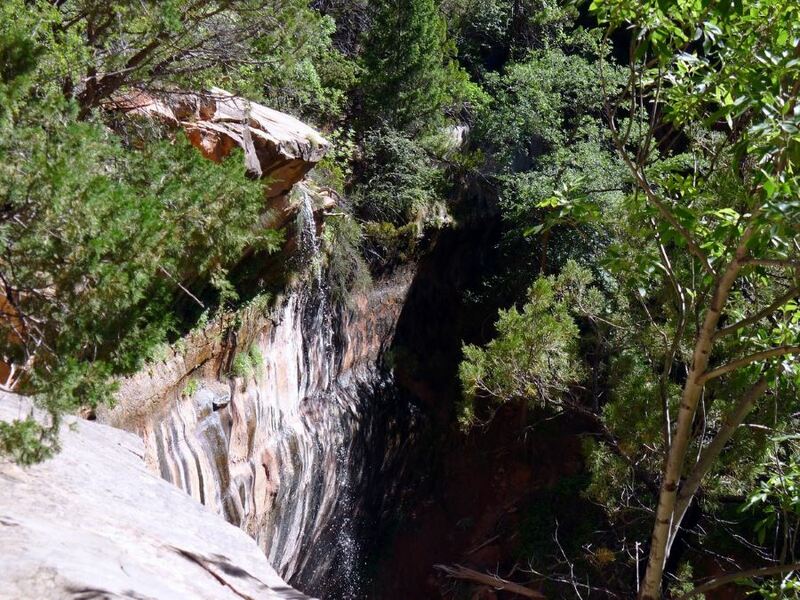 Turn left towards the Emerald Pools and head up a couple of switchbacks. 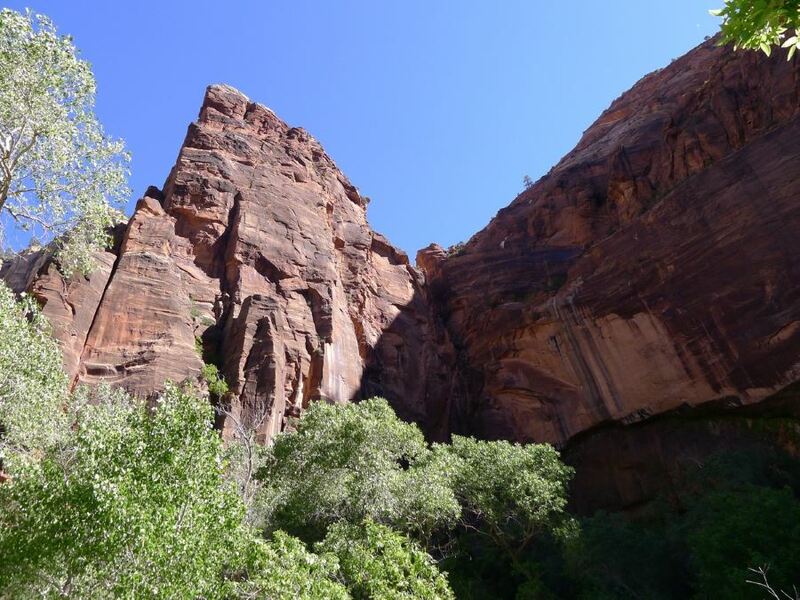 After gaining this modest amount of elevation the trail contours above the Virgin River for a few hundred yards, yielding great views of the fertile oasis formed from the flowing water. Soon the path will veer to the right heading up to an obvious recession in the otherwise uniform canyon wall.  The trail will now start to gain elevation once again, however it is not extremely steep, or challenging. 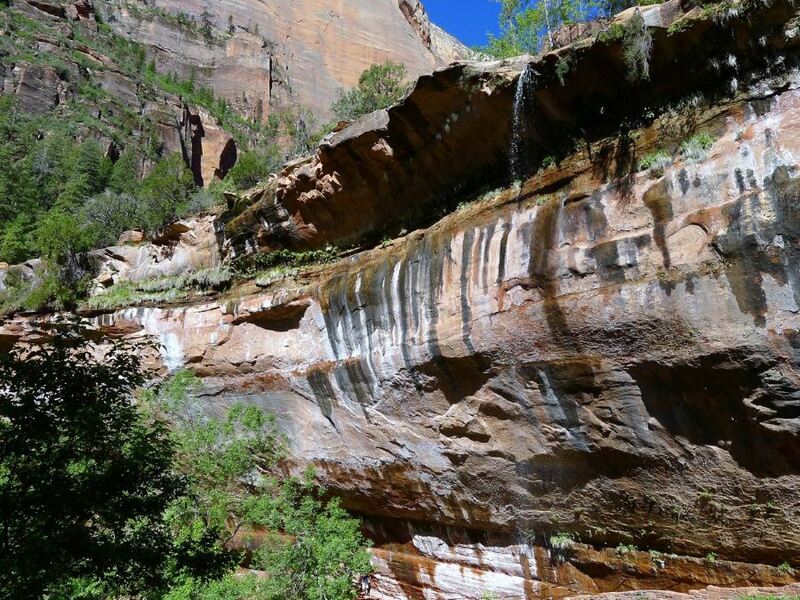 There are several ways to complete the hike, as the diversions for the Lower and Middle pools all loop back up with the main trail. 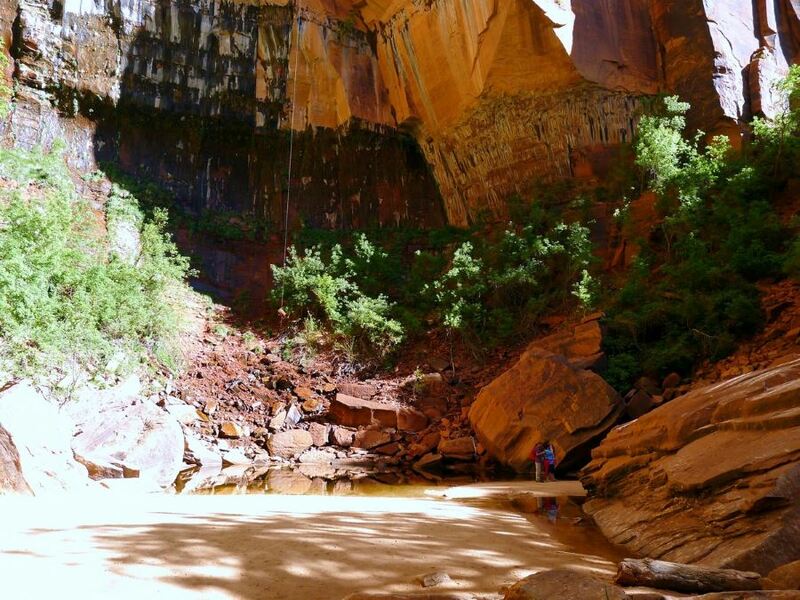 Our favourite way to do this hike is to go directly towards the Upper Pools first (staying right at all the signs) then visit the Middle and Lower Pools on the way back. The final part of the ascent is sun exposed, which can be uncomfortable near midday. The area around the Upper Pools, however, is beautifully shaded. 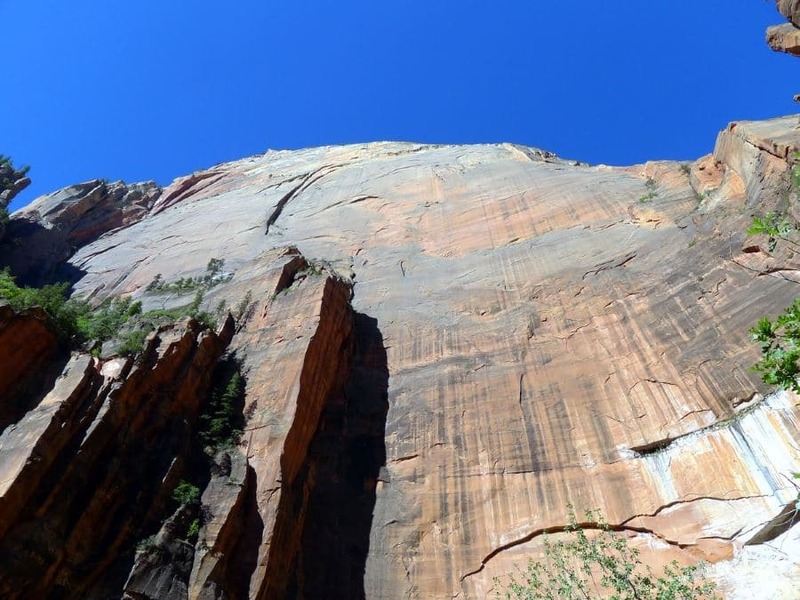 From the Upper Pools you will be almost completely surrounded by absolutely sheer vertical cliffs. These cliffs form the base of Castle Dome. After soaking in the views and tranquility of the Upper Pools, return the way you came and keep a lookout for signposted junctions. Continuing forward, keep hanging a right at the next two junctions to visit the Middle and Lower Pools. From the Lower Pools especially, you’ll be able to see a stunning little seasonal waterfall cascading over the overhanging cliff. The trail runs right beneath the falls! Finally after admiring the serenity of the water, return the way you came following signs for “The Grotto”. 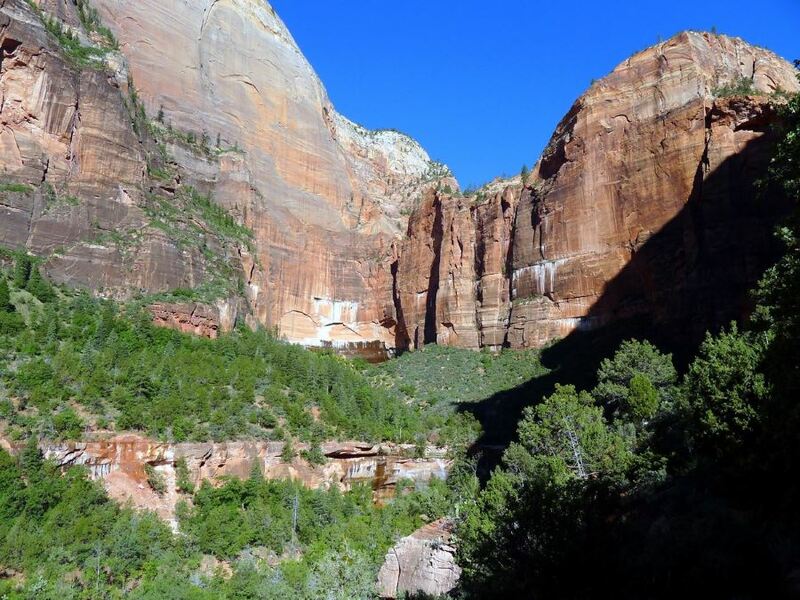 You can also approach the pools from the Zion Lodge. Ask your bus driver or a park ranger for more information. 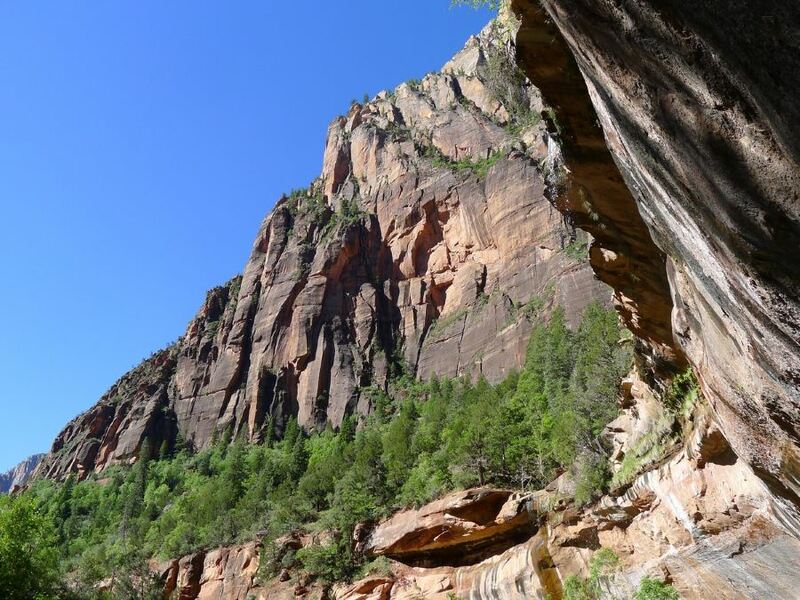 This is a great hike to add on after completing Angel’s Landing – if you have the energy!